The French carmaker trades at one of the lowest multiples in an unloved sector. Shrinking third-quarter sales show why that is merited. An alliance with Nissan and electric-vehicle investments offer glimmers of hope, but neither will turbo-charge shares in the coming year. An employee inspects a Renault Clio 3 on the production line at the Renault automobile factory in Flins May 28, 2013. Renault on Oct. 23 reported third quarter revenue of 11.5 billion euros, down 1.4 percent from a year earlier after excluding the effects of currency movements, disposals and acquisitions. Analysts had on average expected sales of more than 12 billion euros, according to Evercore ISI. 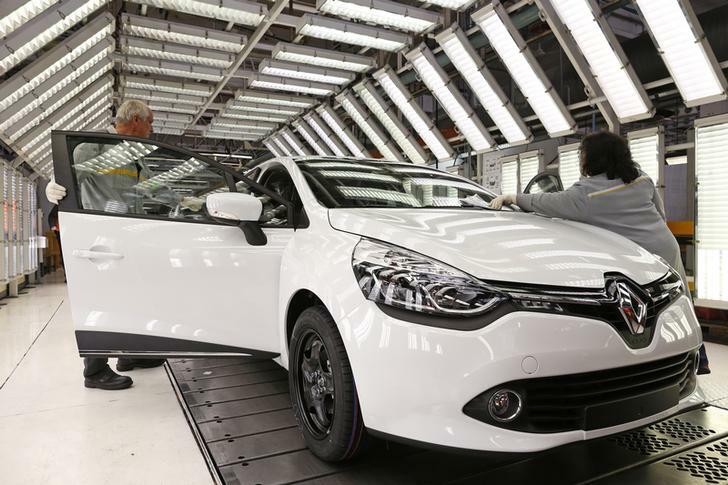 The French carmaker blamed weaker demand in Turkey and Argentina, whose currencies have plunged in value this year, and the halt of deliveries to sanction-hit Iran. Renault reiterated that it expected to increase revenue this year in like-for-like terms and maintain an operating margin above 6 percent. Its shares were down 4 percent to 63.17 euros at 0725 GMT.